Over recent years, universities in Canada have received more overseas students. International students wish to pursue their studies in several universities located in Australia, the USA, and the UK. Furthermore, now the universities in Canada are also attracting these students. Some of them are even from America. Moreover, they are selecting Canadian schools over top US universities. There was a 20% increase in enrollment of international students in Canadian universities during 2017. The increase is 119% since 2010. Canada has global students from USA China, South Korea, and India. Furthermore, many students have a plan to become PRs in Canada. 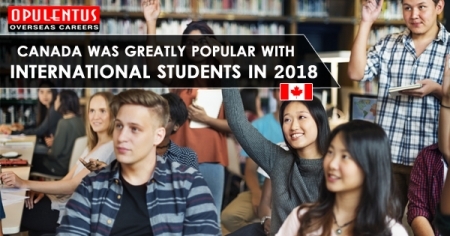 The 2018 ICEF study reveals three factors, which are attracting students to Canadian universities. Studying in Canada involves obtaining a study permit by international students. This will last until the study program is over. It also allows them to work on a part-time basis in the course of studies. After ending the program, they get a 90 day period before the expiry of the permit. Moreover, they can extend it by using the post-graduate work permit. This will last for three years and permits them to stay in the country after completing graduation to work in Canada. Through the help of work experience and extra time for applications, the PGWP is a boon for making an easy transition to PR. Additionally, the process of obtaining the study permit is easy. In 2017 the USA mandated that international students have to re-apply and seek permission for every year. Presently there is a heavy increase in the tuition fees in American universities. The fee in Canada is affordable for global students. The average annual rate here for completing a four-year degree course is around $27,159, but it is $45,950 in the private universities in the USA. For a Canadian citizen, the annual tuition fee is only $6,838. The international students also focus on public attitudes and government policy towards newcomers. Canada aims to strengthen immigration to the country, and also ensures that the overseas students get a good start. The present policies of the USA, its anti-immigration rhetoric, travel bans, and uncertainty of visa are the factors that shift the students away from the United States. In 2017, there was an increase of 21% in applications at McGill University. Moreover, in the American University of Toronto it was 75% and in Bishop University Quebec it was 200%. Finally, Canada is an excellent place for immigration. Its education, language skills, and work experience will make the PR application competitive. The students can then make Canada their home.